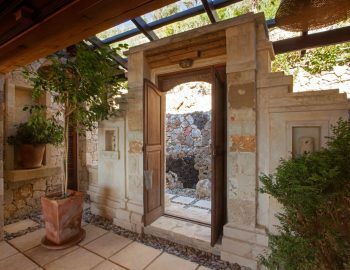 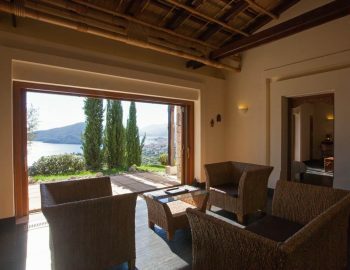 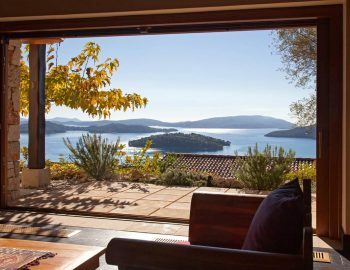 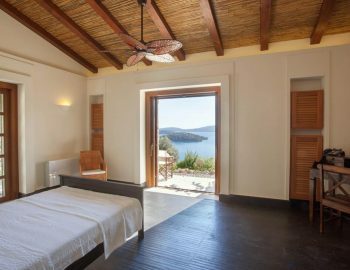 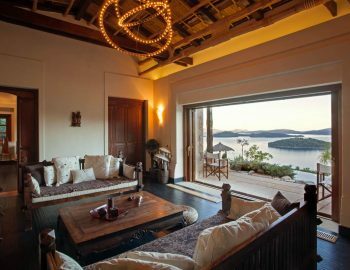 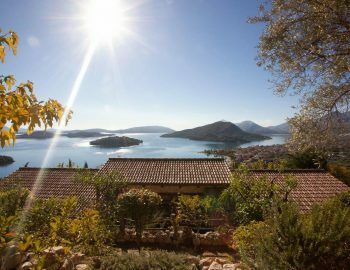 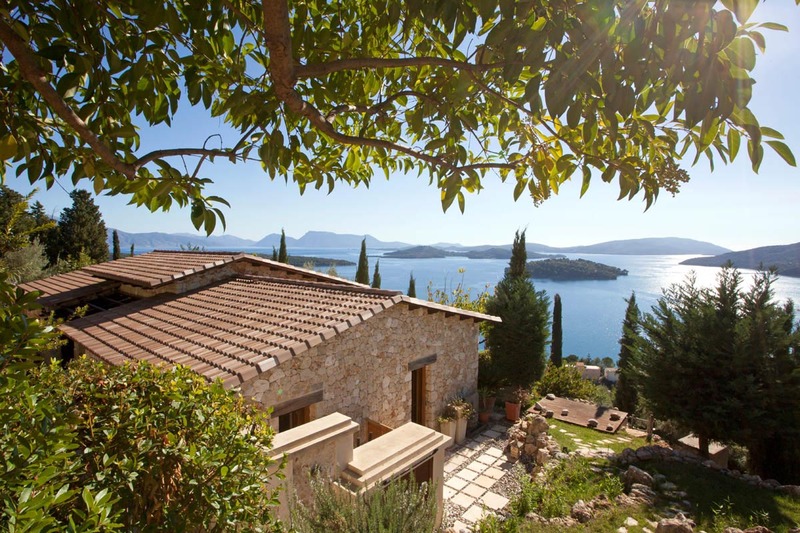 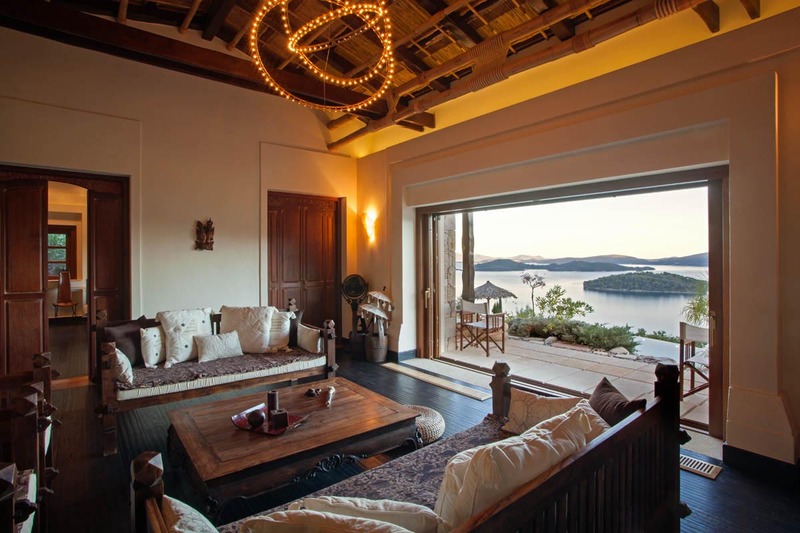 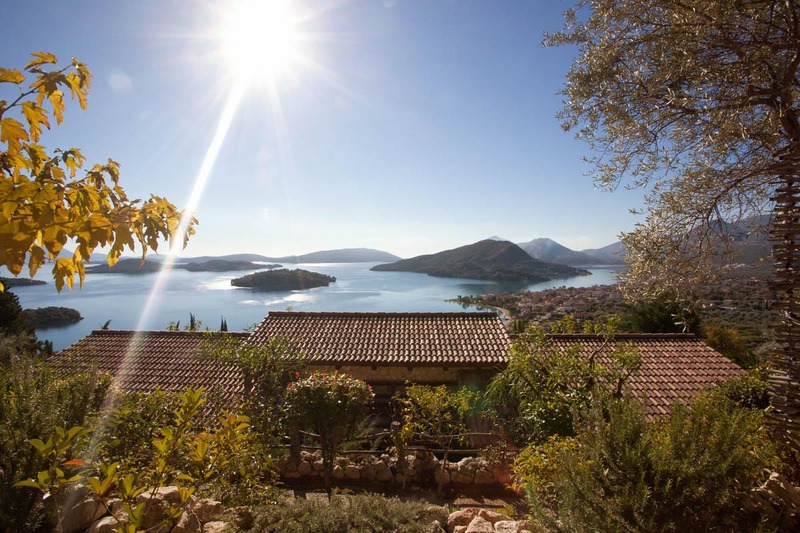 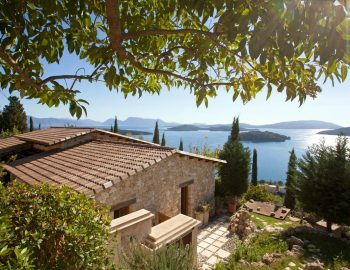 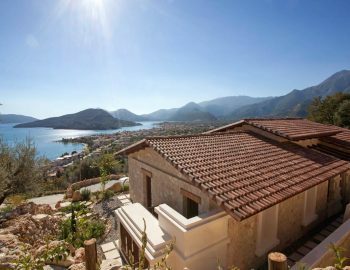 With a breathtaking panoramic view over the princess islands, in the mids of the Greek flora you will come upon this one-of-a-kind property that will fulfill your every need. 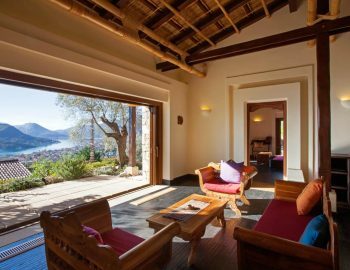 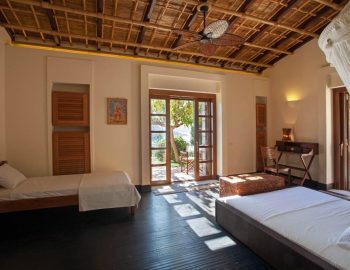 It is ideally located just above Nidri Town giving absolute privacy and freedom making it an incredible location for you to have a vacation of a lifetime. 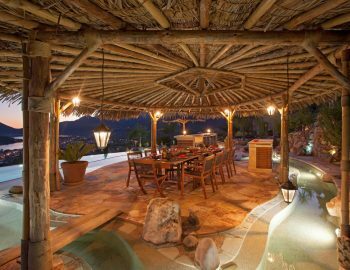 Combining local materials with high-tech amenities this villa is carefully planned to offer its guests a unique experience. 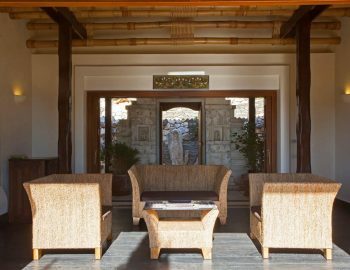 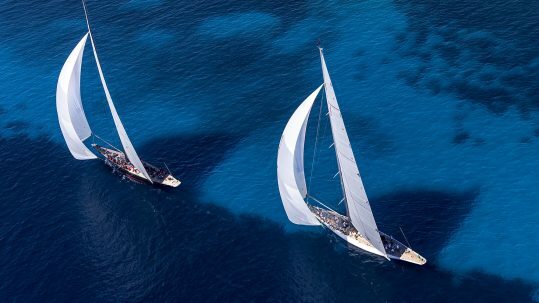 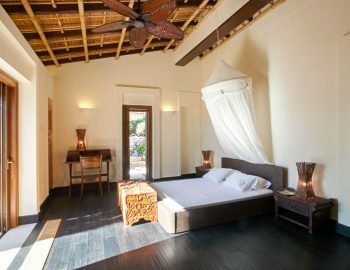 At this exquisite property Greek traditional island living gracefully meets luxurious Balinese style. 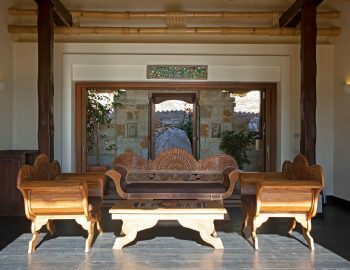 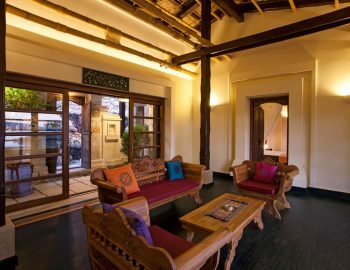 The interior is full of eastern features traditionally crafted Balinese furniture and custom made doors that lead to the breath taking scenery. 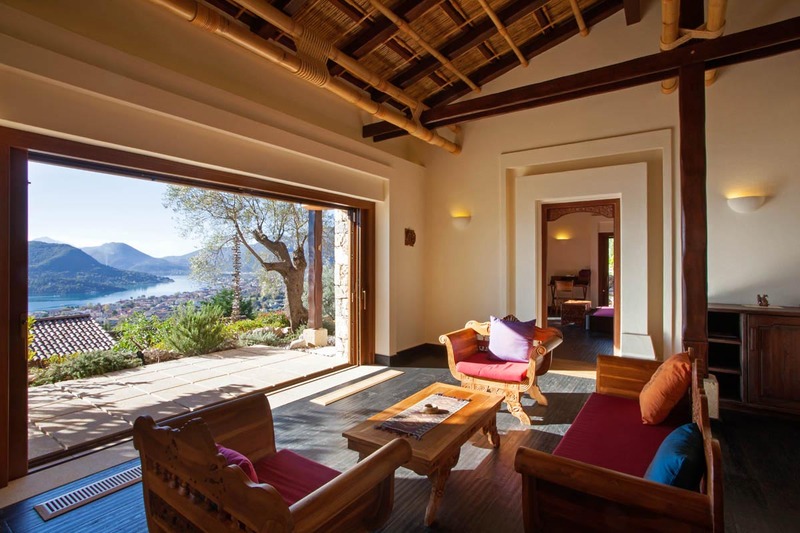 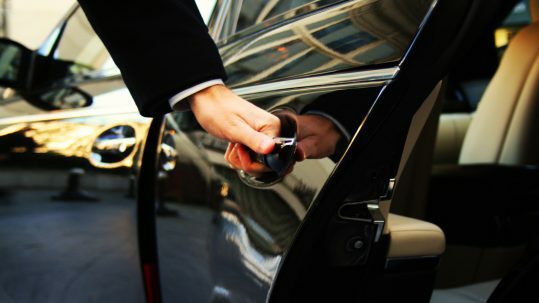 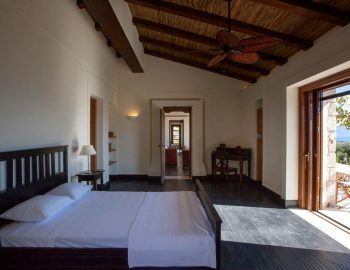 The property is laid out over seven separate buildings offering extra privacy between you and your fellow guests. 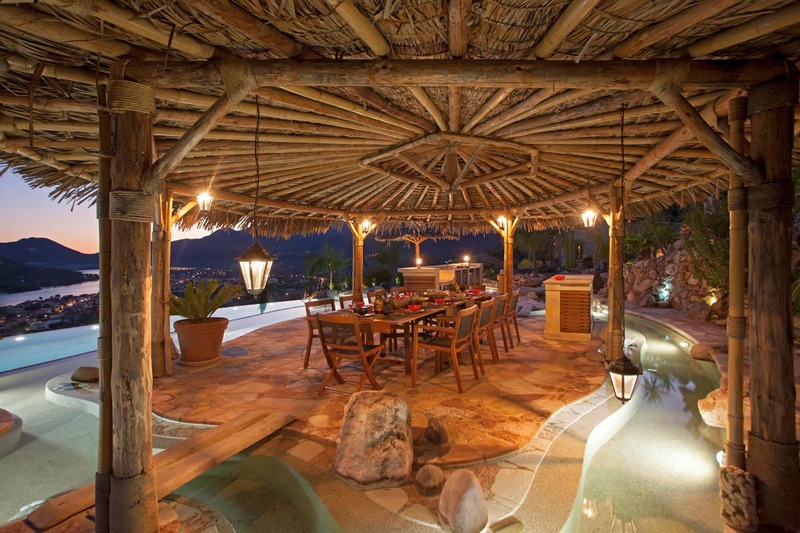 All structures are designed and decorated in a unique way. 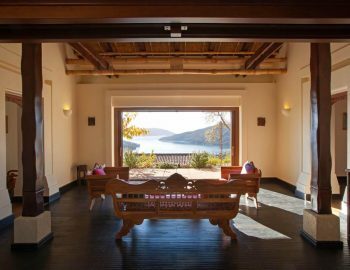 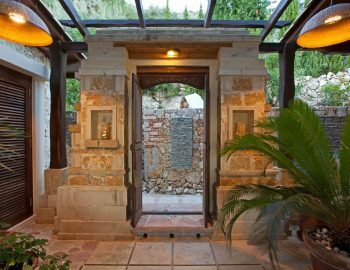 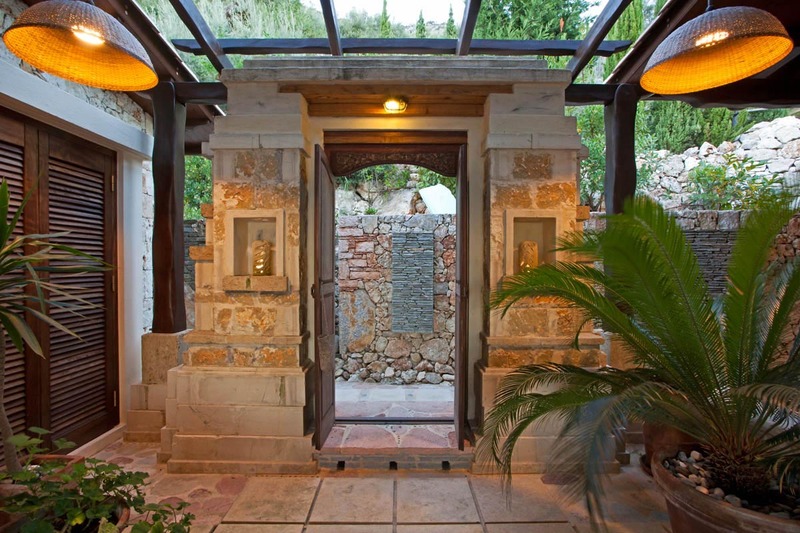 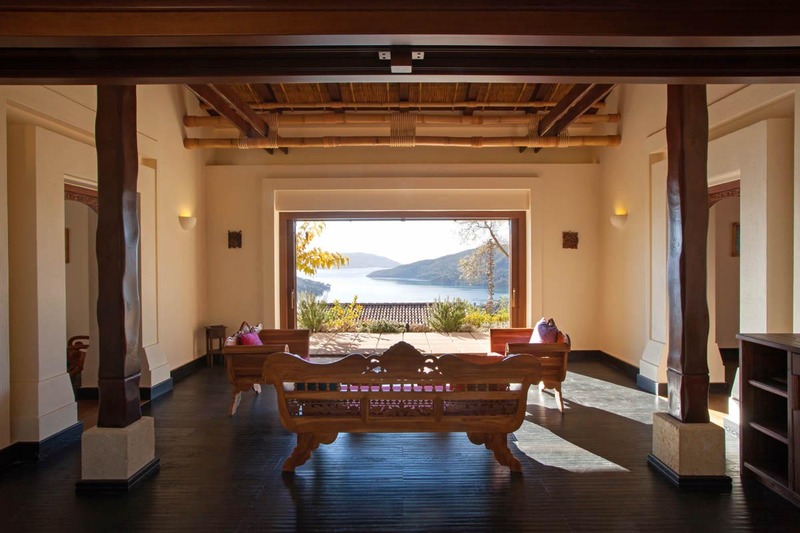 All entrances are from the back where you walk upon two beautifully crafted wooden doors that lead you to the two Balinese style sliding blinds and glass doors. 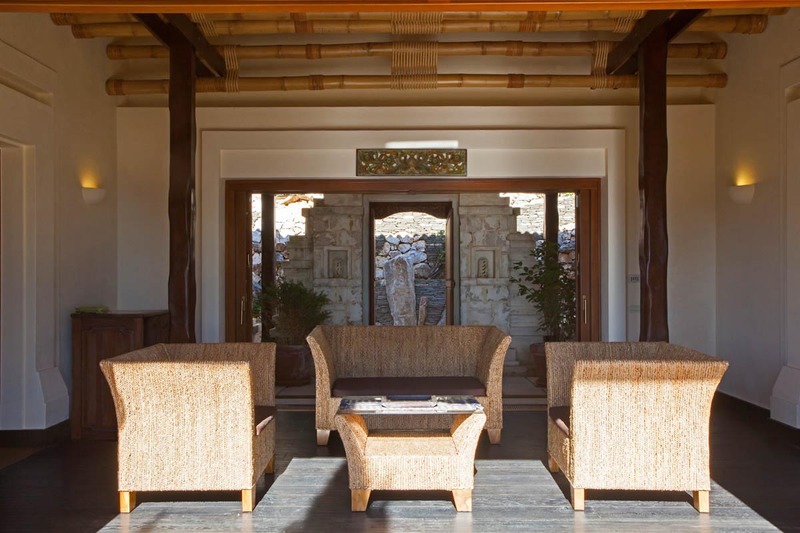 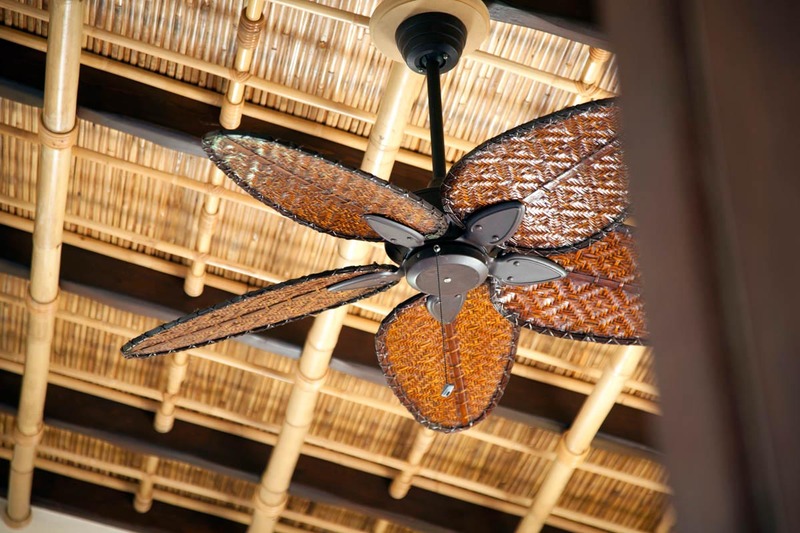 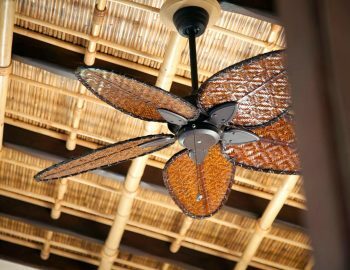 Once in the Villas will blown away by the one of a kind high ceilings made of bamboo that are tied together with great craftsmanship. 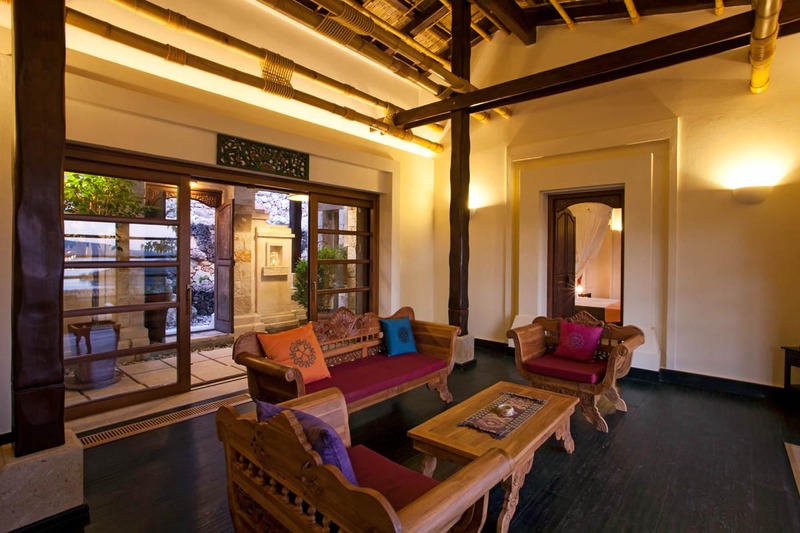 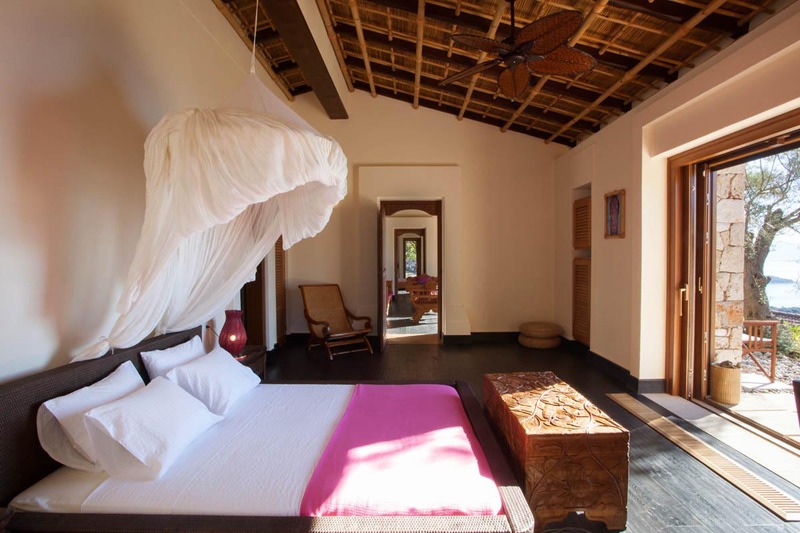 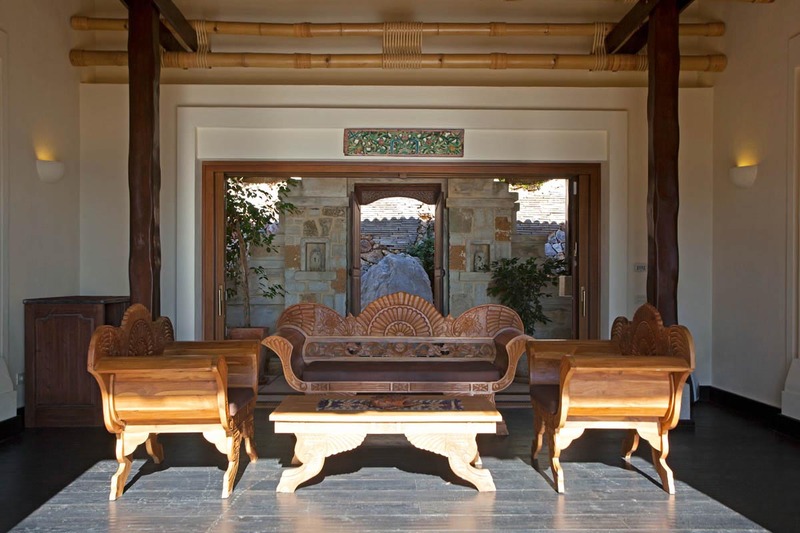 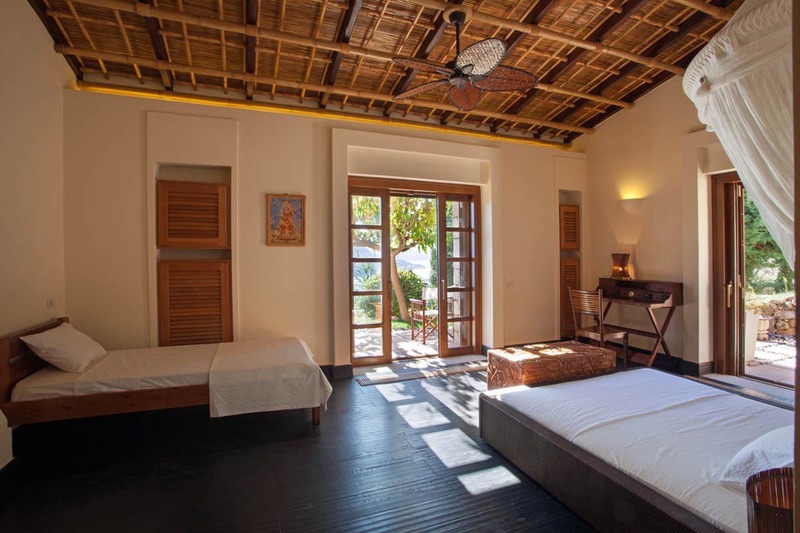 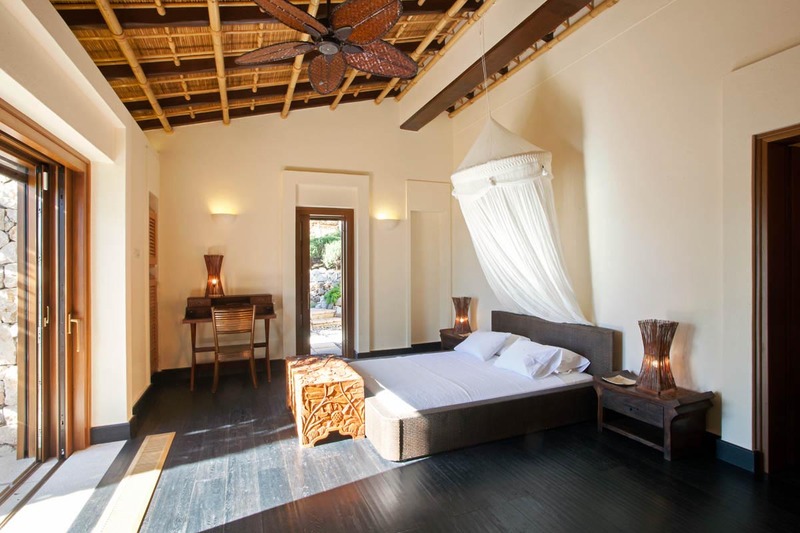 The almost black Balinese wooden floors really accentuate the handmade Balinese furniture. 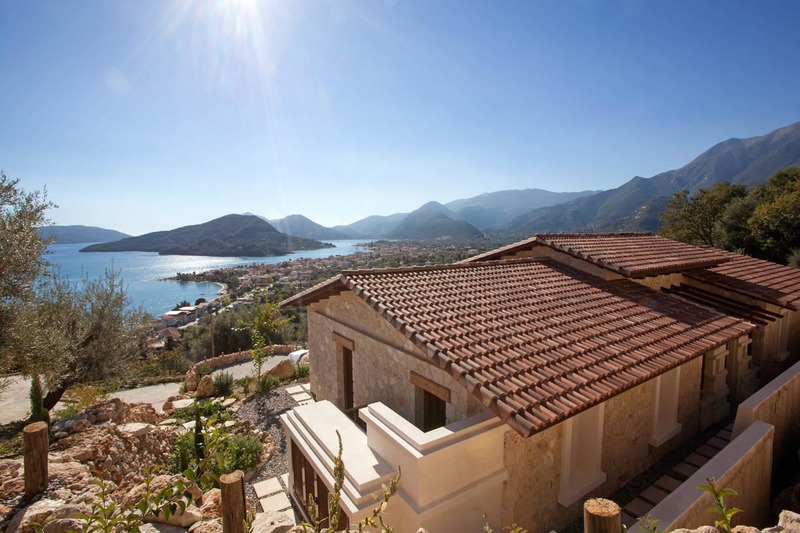 From the front of the properties you will be able to enjoy the breathtaking panoramic view of the princess islands. 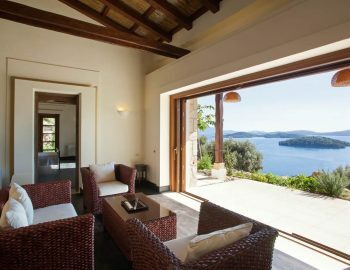 The commonly used main Villa consists of a stunning huge living room, a TV-room/second living room, a beautiful aristocratic dining room, two bathrooms and a fully equipped modern kitchen that covers your every need. 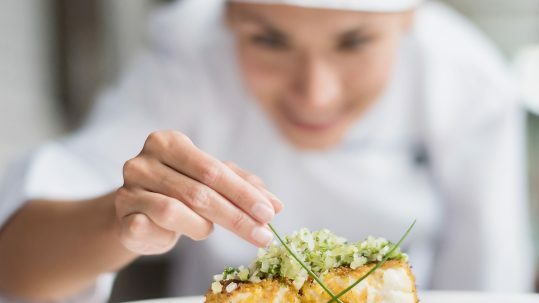 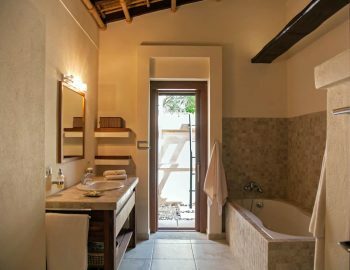 It includes a kitchen island with burners, a grill section, modern ovens, a big refrigerator and wine cooler, a dishwasher plus everything else you could possibly imagine. 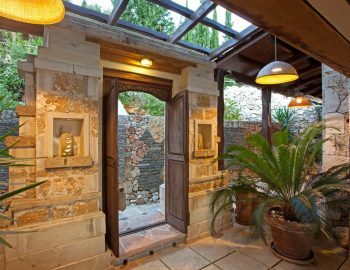 From the kitchen door you can walk in to the next small building that has an extra kitchen area and washing room. 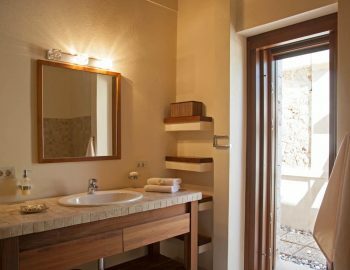 It includes extra refrigerators, a sink, a washing machine and dryer, an ironing area and extra storage. 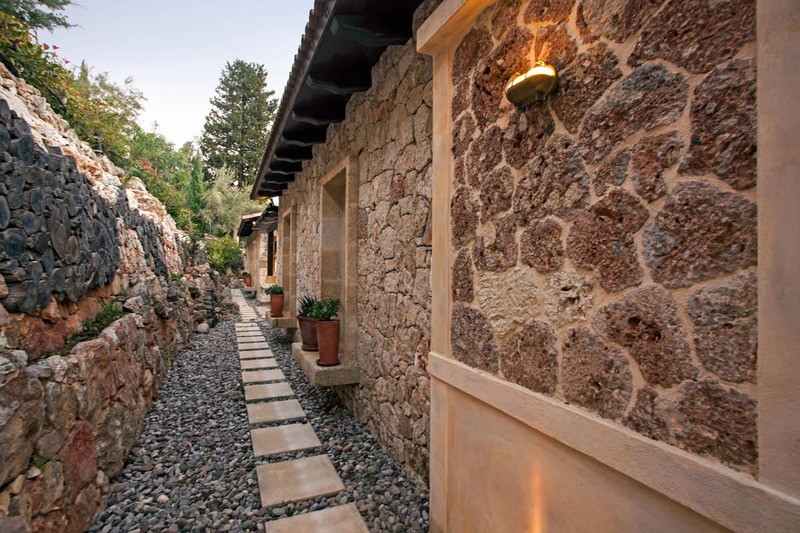 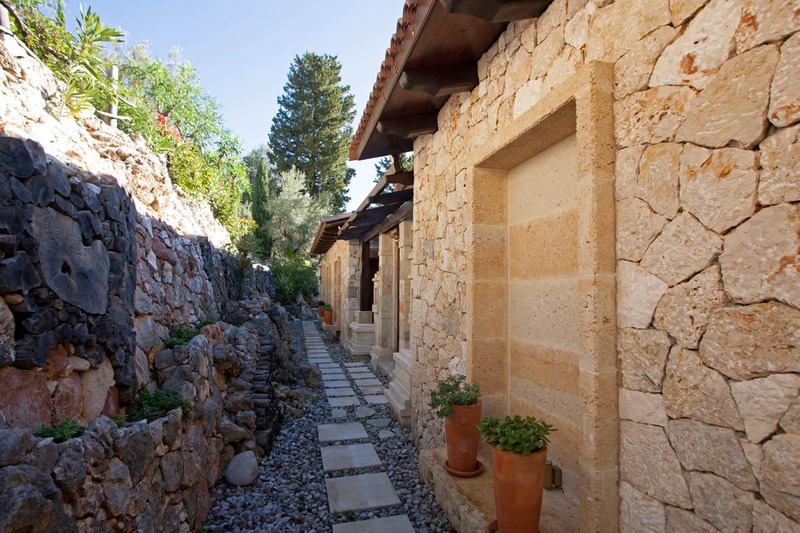 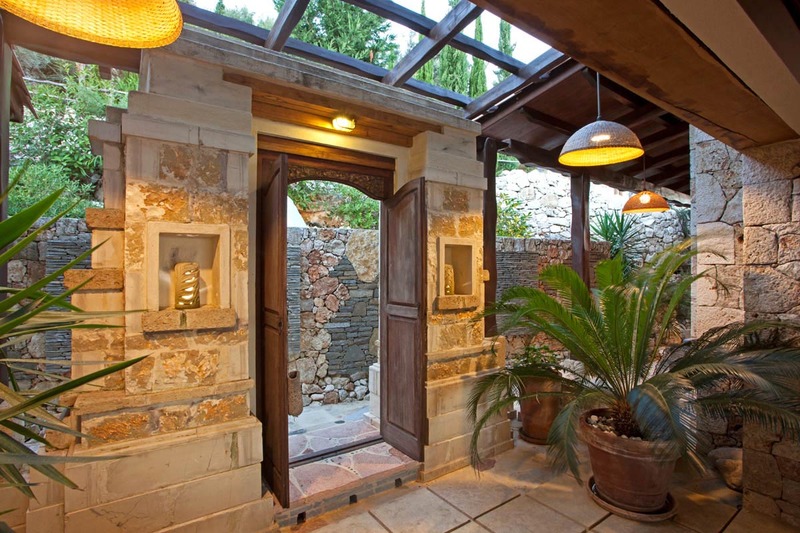 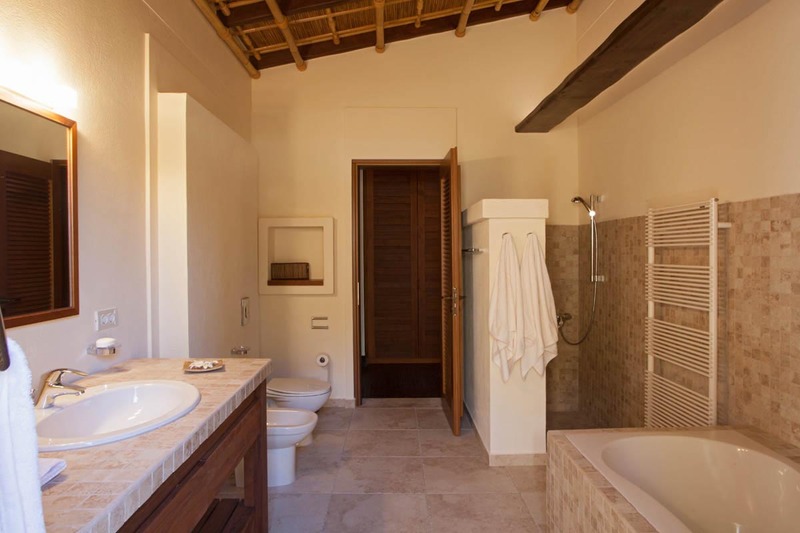 There are five 170sqm Guest Villas on the property that are positioned in a way that will give you absolute privacy. 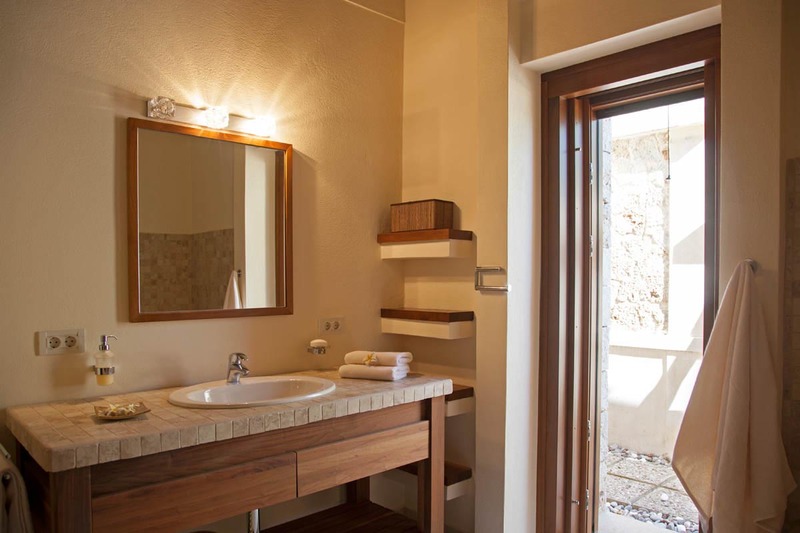 They all consist of a big living room, two bedrooms with private bathrooms that are reached through the big closets. 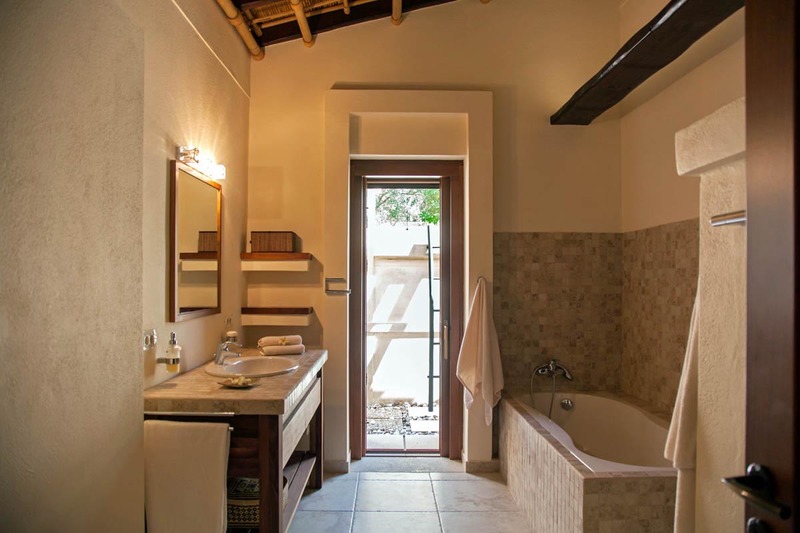 The luxe en suite bathrooms have a bath, separate shower and WC area. 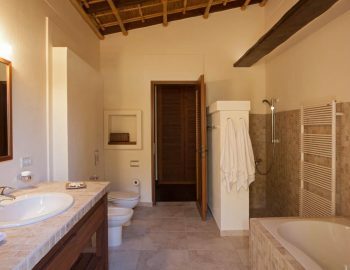 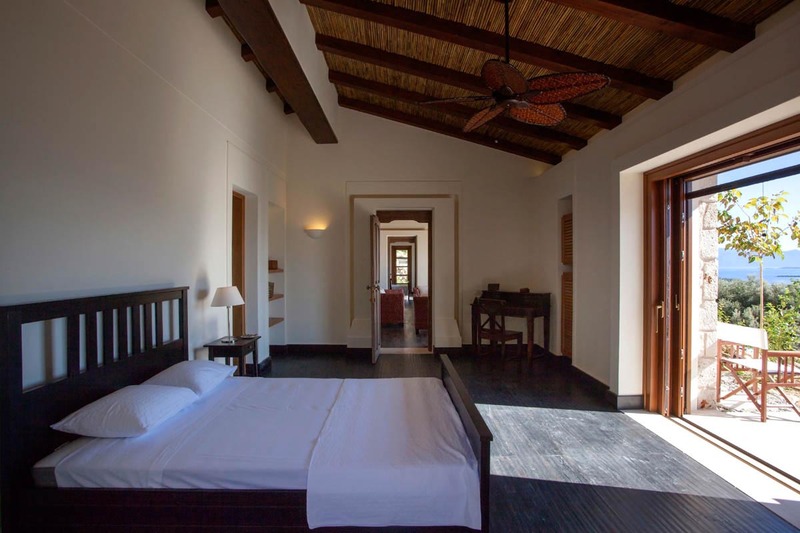 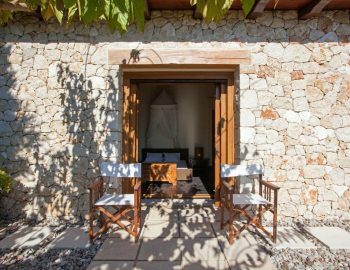 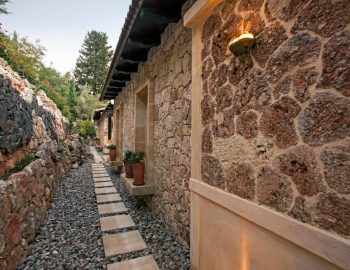 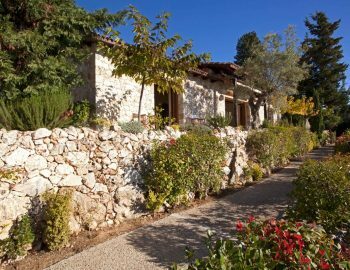 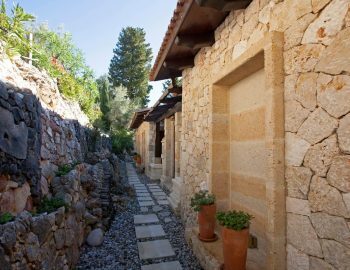 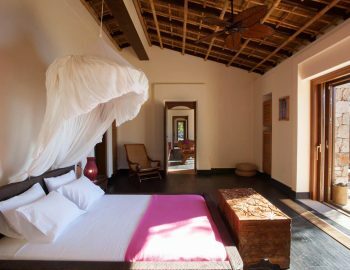 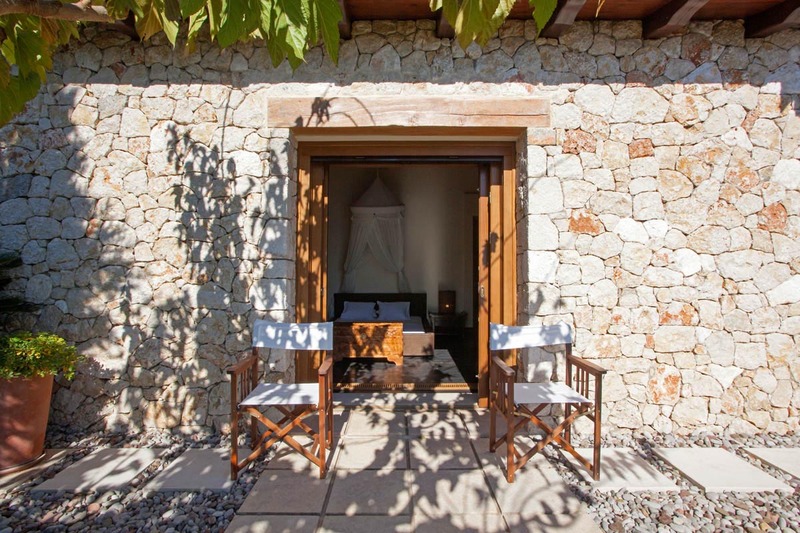 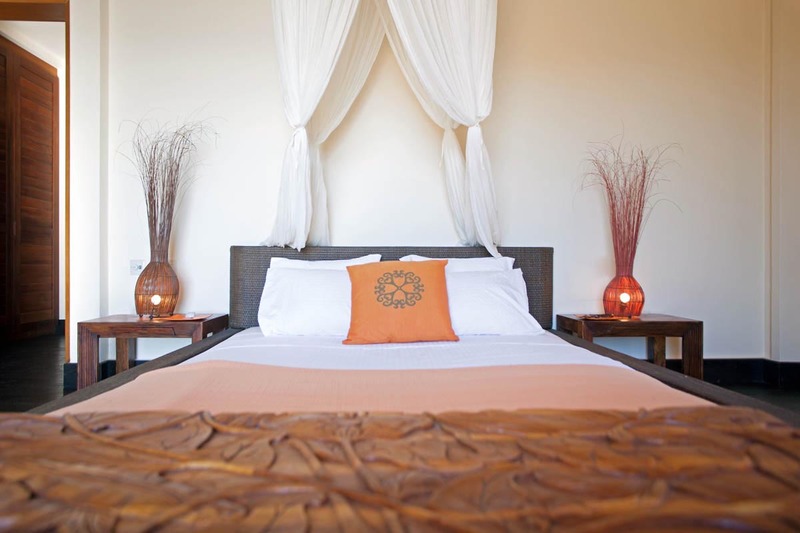 One of the Guest Villas offers an extra single bed and every Villa also has a private outside shower area available for guests to use. 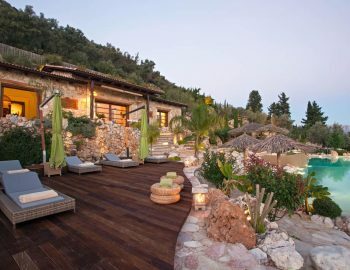 On the beautifully designed outside area you find the unique infinity swimming pool that is designed like a beach, combining rustic elements like big rocks and sand with beautiful curves and twists. 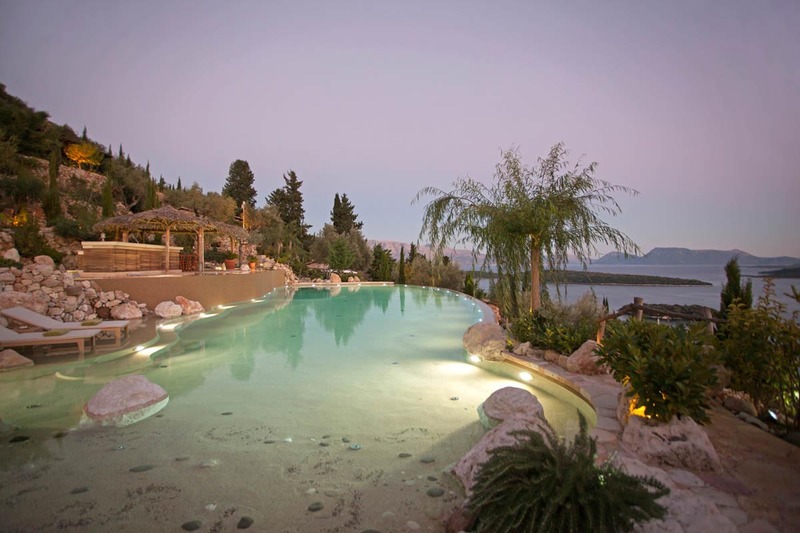 The ample area surrounding the pool contains lounging areas ideal for relaxation. 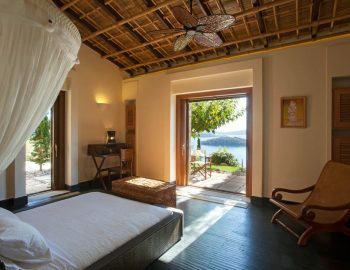 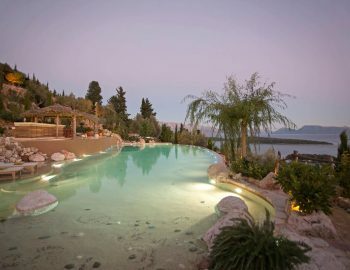 There is also a pool house with a guest bathroom, meditation areas, a kitchen & BBQ area and a one-of-a-kind dinning island surrounded by water and looking over the infinity pool at the mesmerizing panoramic view of the Ionian Sea, the Princess islands and the mainland mountains across the water. 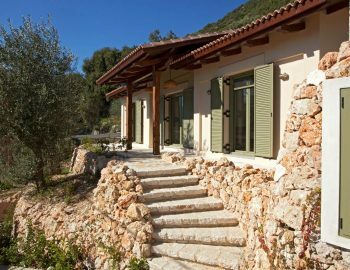 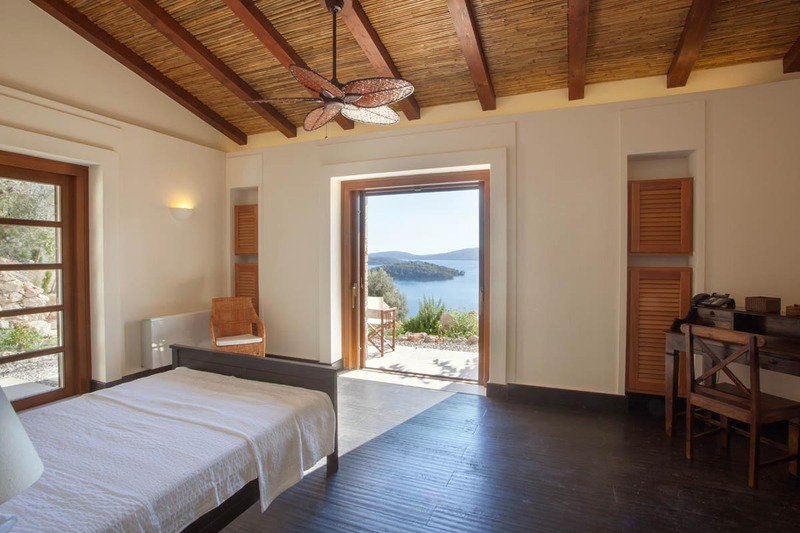 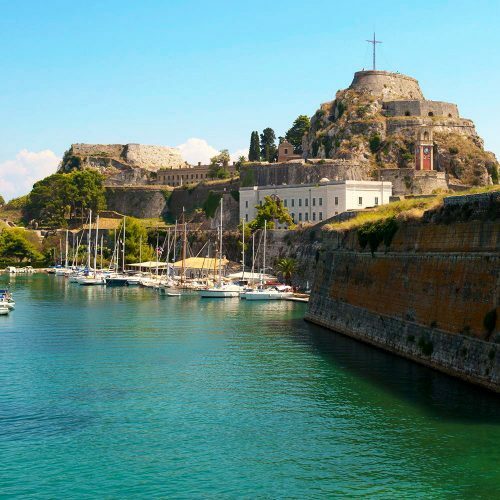 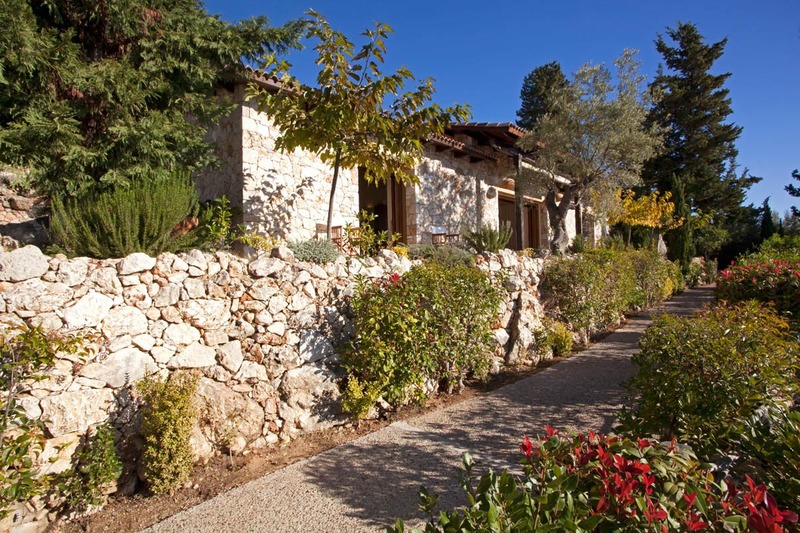 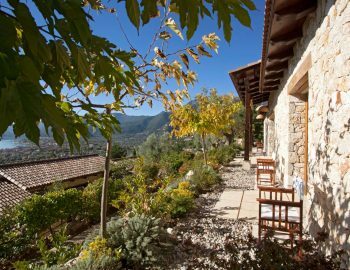 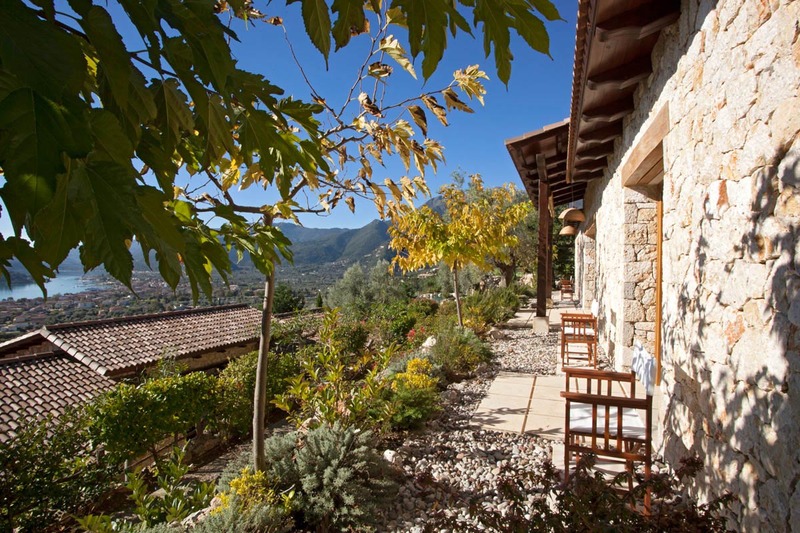 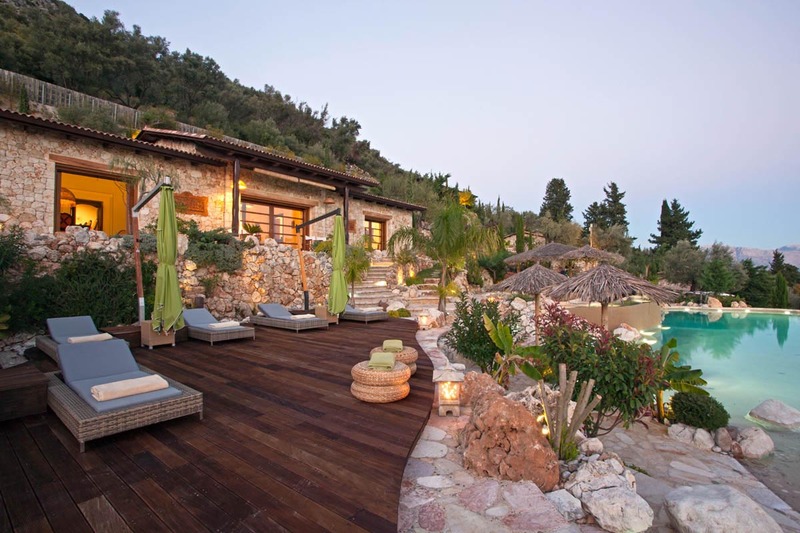 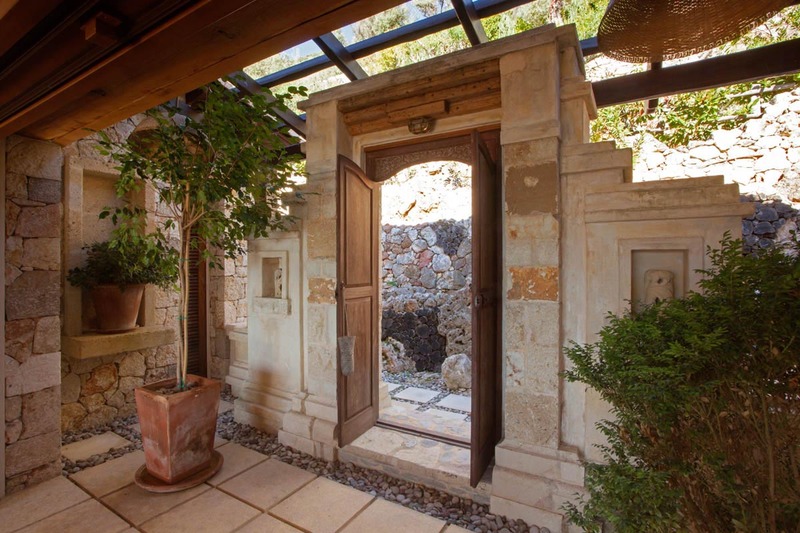 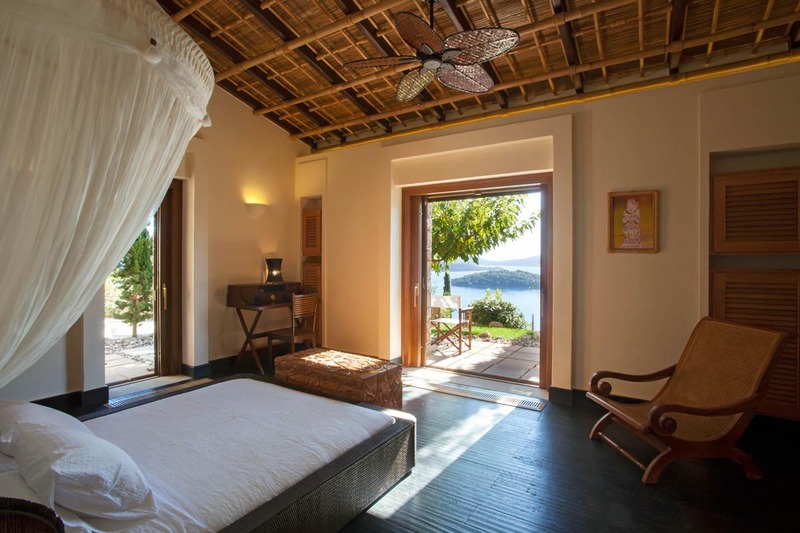 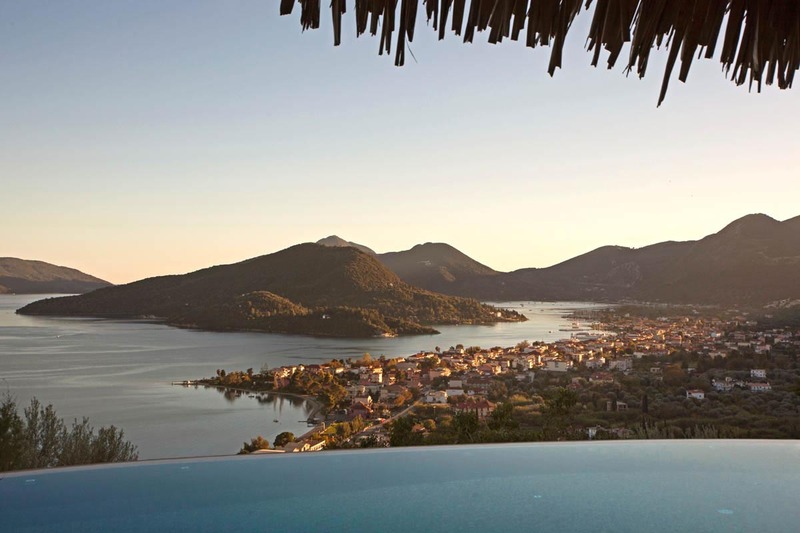 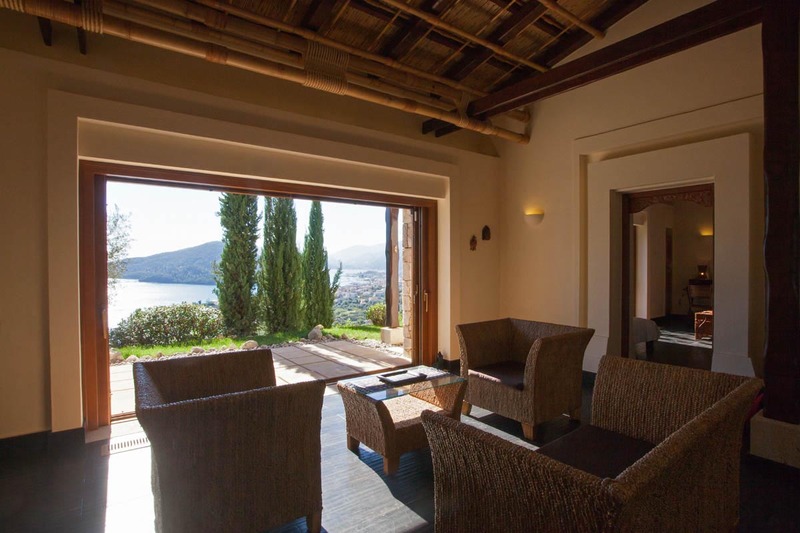 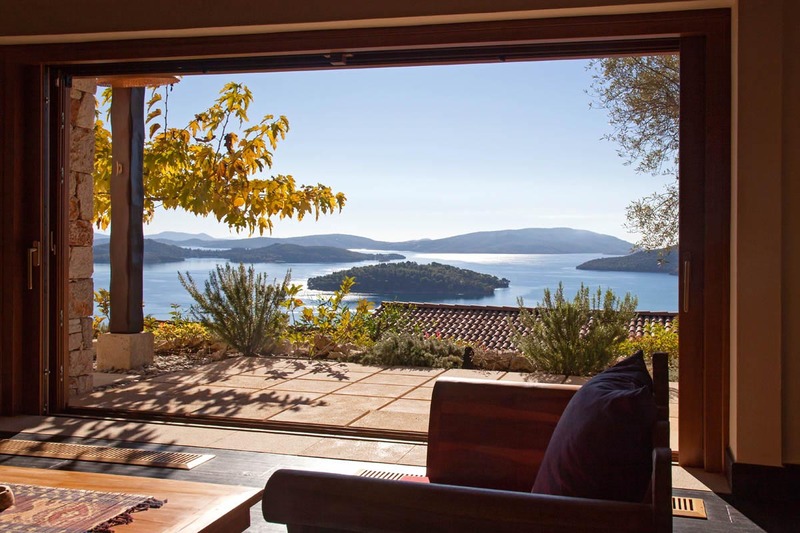 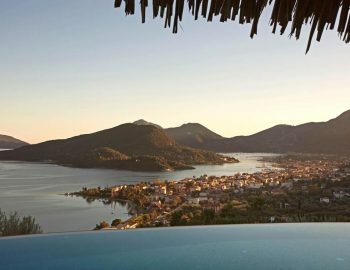 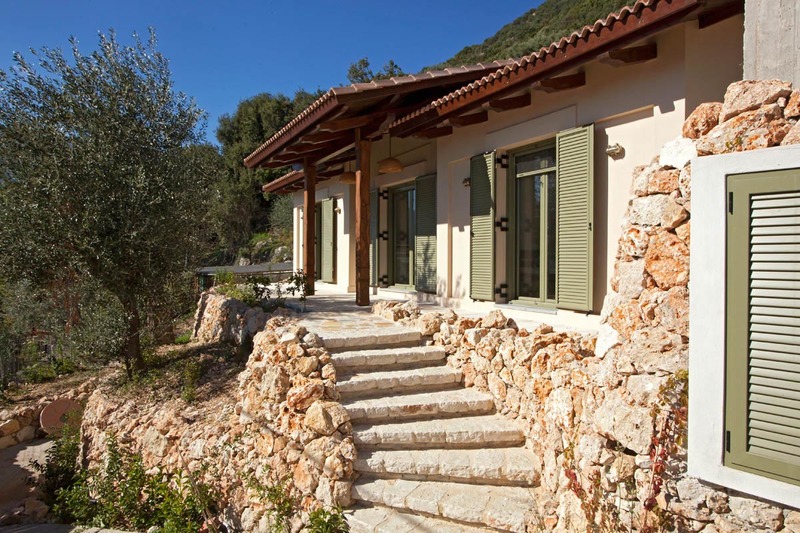 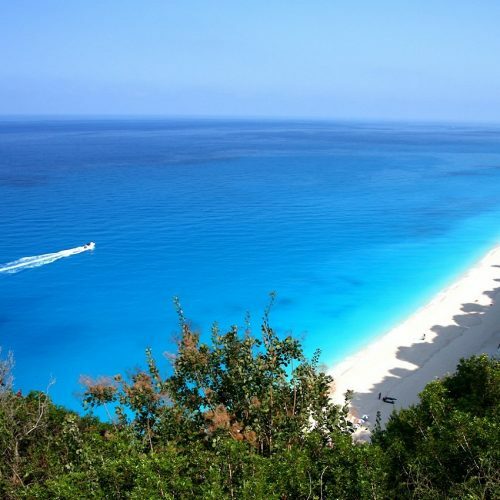 It is the place to make memories on the beautiful island of Lefkada while enjoying the extraordinary architecture and design that was created by Italian architect Giovanni Bellagamba. 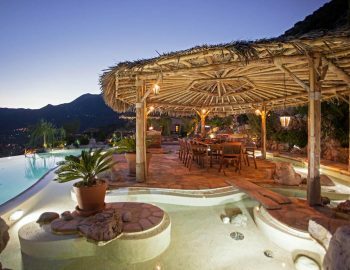 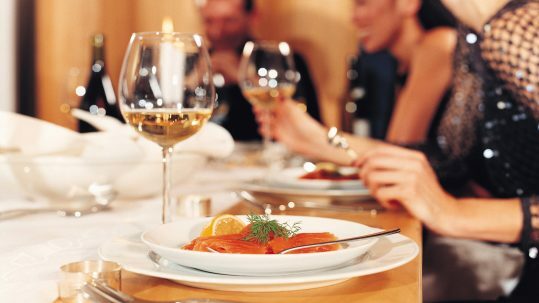 Enjoy dinners under the sparkling stars while feeling the absolute quiet of nature. 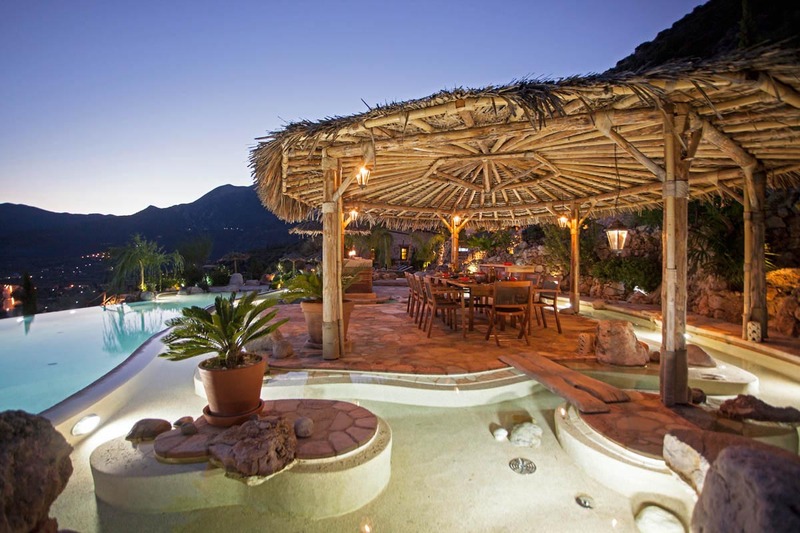 This property will satisfy your dream of a perfect vacation. 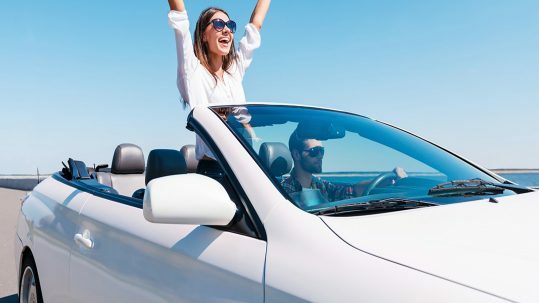 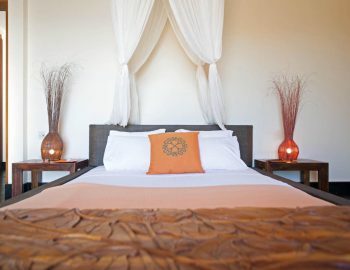 Wi-Fi – Plasma TV – DVD Player – Air Conditioning – Refrigerator – Oven – Microwave – Toaster – Coffee Machine – Kettle – Washing Machine – Iron & Ironing Board – BBQ – Infinity Private Pool – Jacuzzi – Umbrellas – Beach Towels – Outdoor Dining – Sun Beds – Private Parking.